Ocean breezes often make for great challenges and Rehoboth Beach brings you some of the most intricately designed courses on the east coast . From avid golfers to those just learning how to master their swing, there are many tees to play from for all levels. Tee off at Baywood Greens, Beartrap Dunes, or the Rookery Club. Get inspired with striking bay views, enjoy gourmet eats at spectacular restaurants, and shopping at renowned golf pro shops - all minutes from our hotel. 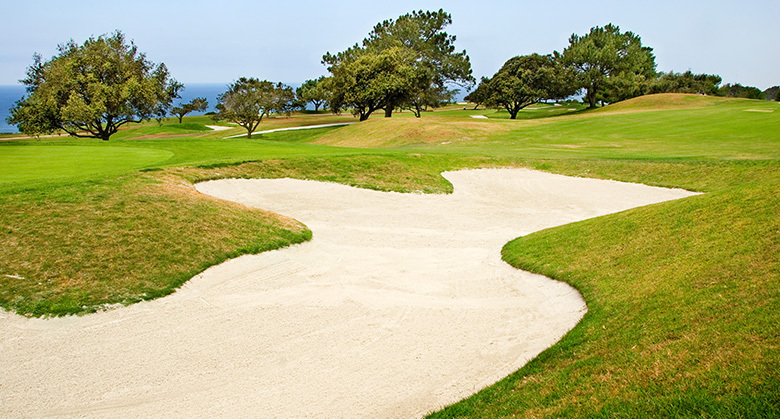 Perfect your swing at the stunning course of Baywood Greens with immaculate grounds and two practice putting greens. This public course in Long Neck is known for being one of the best courses in a state with no shortage of great ones. Enjoy over 200,000 plants in the playing area that beautifully decorate the course. Tee off at the Rookery Golf Club. The North Course in Milford used to be a private course and is now open to the public with a lush, well-kept 18-hole course for golfers of all levels. The South Course in Milton is set between swelling mounds and a heron rookery, and was designed by former British Open Champion Pete Oakley. Head out to Ocean View and get your golf game on at Bear Trap Dunes. Play this 27-hole championship-level masterpiece. Buy some golf gear and clubs at the pro shop, which is known for being one of the top golf shops in the states. 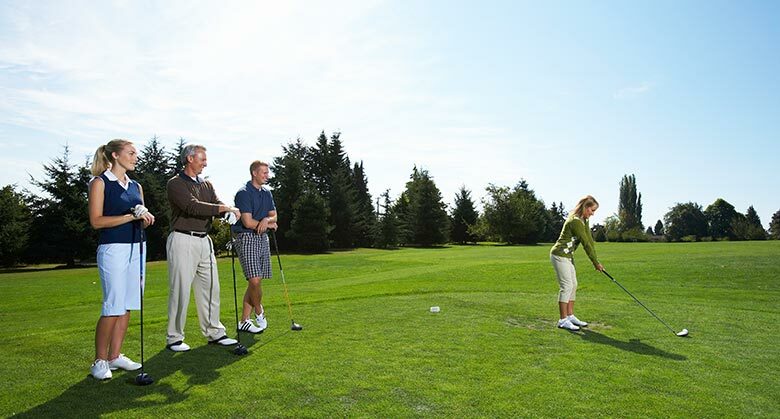 Bear Trap Dunes offers instruction programs for golfers of all levels to improve their swing. Play on the course crafted by and named for a golfing legend at the Jack Nicklaus Signature Golf Course at The Peninsula On the Indian River Bay in Millsboro. This 7,200-yard, par-72 beauty has scenic holes along Indian River Bay and Lingo Creek. Afterwards, unwind at the full-service spa and dine at the Terrace Grille and Cabana Bar. Make a trip to Bethany Beach for a day of fresh air and green grass at the Salt Pond Golf Club. 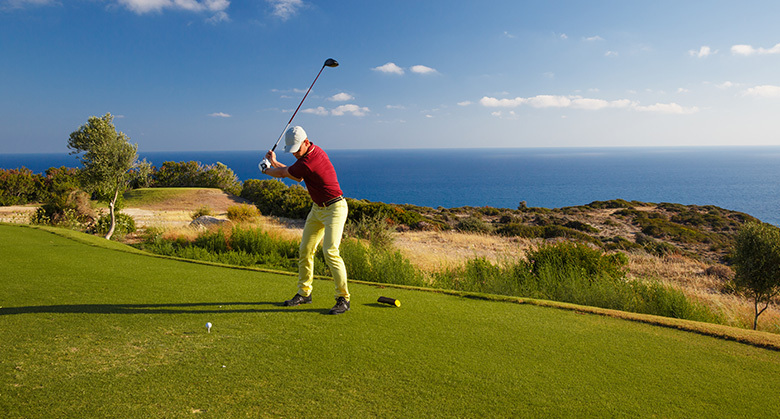 Play the mid-length, 18-hole public course with convenient play at a very affordable price or book an appointment for a lesson from a professional golfer. Be sure to check out the pro shop for the latest golf apparel from all the top suppliers. 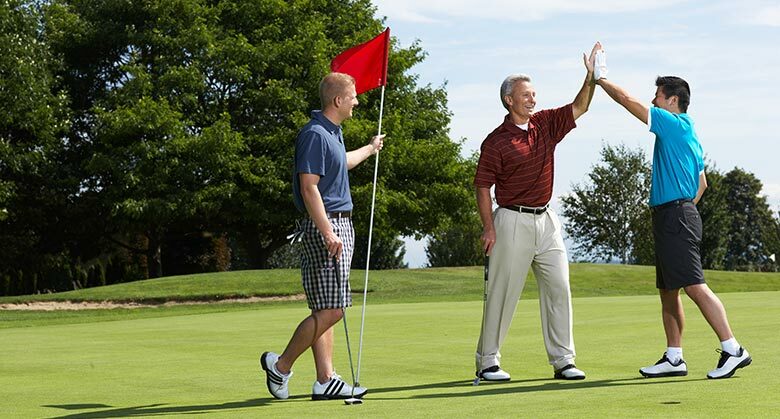 Do Rehoboth Beach golf courses offer club rentals? Yes, rental clubs are available at several nearby Rehoboth Beach golf courses, including Baywood Greens Golf Course in Long Neck. One of the top public courses in Delaware, Baywood Greens offers 18 beautiful holes and stocked pro shop with club rentals, clubs, accessories, and gear. Do nearby golf courses offer military discounts? Yes, the Rookery Golf Club offers military discounts at both the North Course in Milford and the South Course in Milton. Bring your military ID and get five dollars off on regular rack rates; 18 holes only. You protected us, so now it’s our turn to protect your right to hit the links in peace.